It's Friday and the Holiday season is among us :) So in celebration, today's festive manicure is Ruby Deer, from the China Glaze 'Tis The Season To Be Naughty or Nice Holiday 2010 Collection'. Ruby Deer is a bright maraschino cherry red with a shiny creme (almost jelly) finish. I only applied two coats and no top coat. By the way, please ignore the pink stained nails. A friend of mine wanted me to help him dye his hair pink, and even though I wore gloves...I still managed to stain my nails while styling his hair. Although this lacquer was limited edition, you can still find it online. 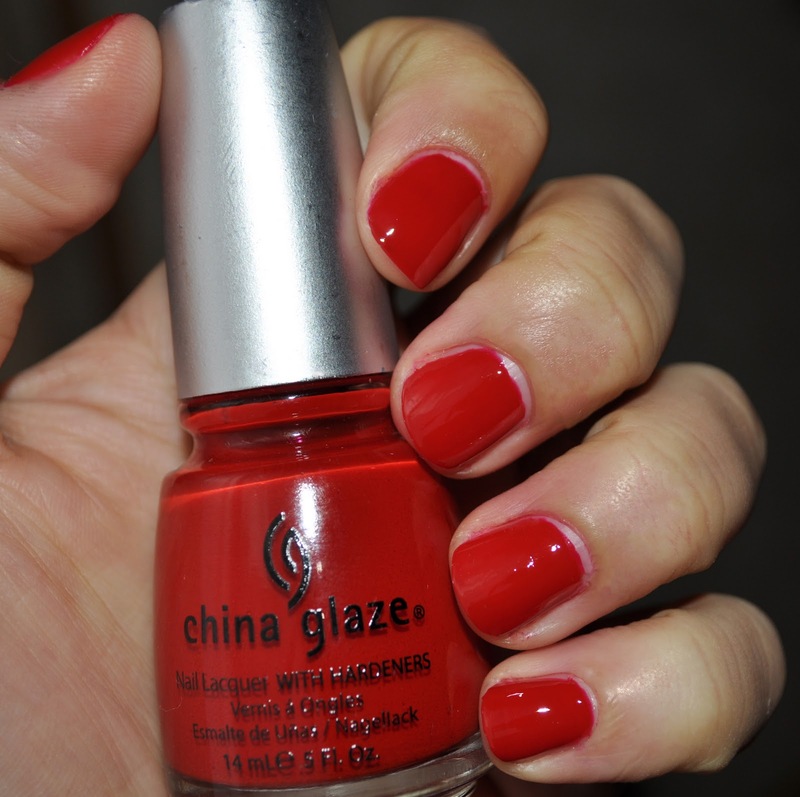 Ruby Deer is one of my favorite bright reds and a great nail polish to kick off the holiday season. What are some of your favorite bright reds?